SNK’s recent revitalization has been a very successful one, not just due to the brilliance of their comeback game, The King of Fighters XIV, but in their ability to open their back catalogue to new and old fans alike on modern platforms.The King of Fighters 2000, both Last Blade titles, Baseball Stars 2, Twinkle Star Sprites, Samurai Shodown: Tenkaichi Kenkyakuden, and both Shock Troopers titles have benefitted from re-releases in 2016 alone. 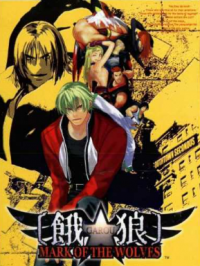 Now, it’s Garou: Mark of the Wolves’ turn. The Kim twins take to the skies. 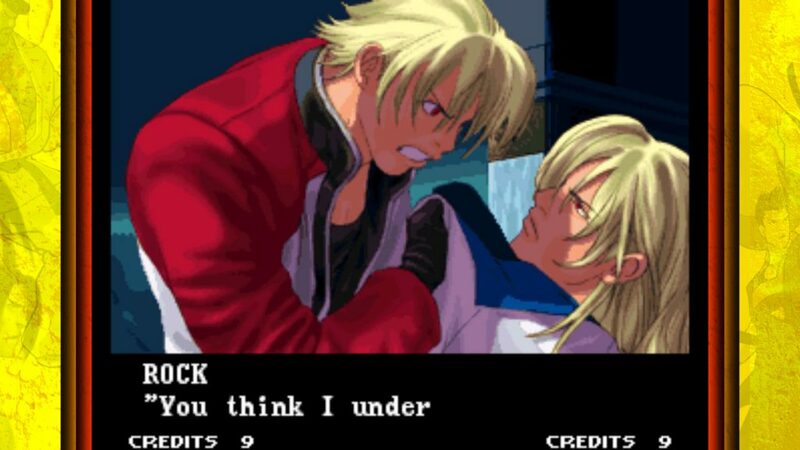 Garou: Mark of the Wolves is SNK’s 1999 reinvention of the Fatal Fury series, which coincidentally released around the same time as Capcom’s Street Fighter III: 3rd Strike. This would prove interesting as the two games shared very similar sensibilities, that advanced defensive systems should be put in place to eschew traditional mechanics like blockstun and chip damage, and that players should have certain ways to tweak and fine-tune their characters to suit their own particular tastes. These changes would also replace what had previously been Fatal Fury’s trademark mechanic, which had been multiplanar stages that would see players jump as needed from the foreground to the background, and vice versa. 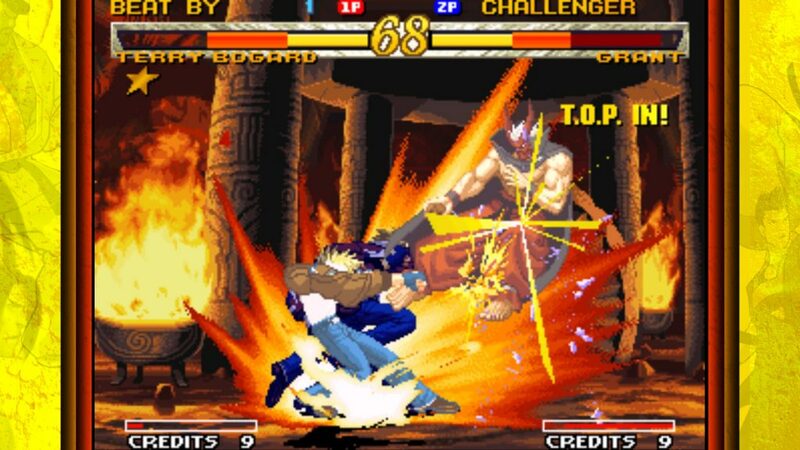 Garou was a visual breakthrough when it landed on the NeoGeo in 1999. 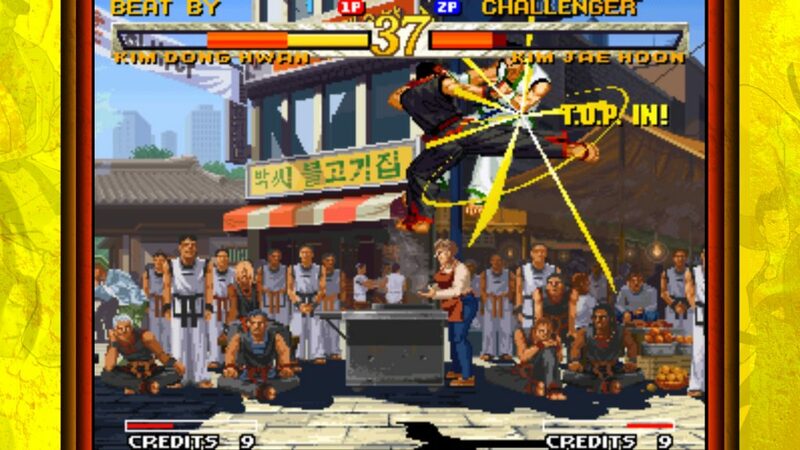 Garou also aligns well with Street Fighter III in its cast of almost-exclusively new characters. Where Street Fighter III brought back Ryu and Ken right away, and eventually Chun-Li in 3rd Strike, after vehement backlash from the fans, Mark of the Wolves only carries main series protagonist Terry Bogard to its roster, replacing him at the same time as main character with his adopted son, Rock Howard. Including Rock, the rest of the cast is comprised of newcomers. At the time of its 1999 release, Mark of the Wolves was celebrated not just as a technical breakthrough for the NeoGeo hardware with its amazing level of animation, but a legitimate alternative to Street Fighter III: 3rd Strike as a technical marvel among the rest of the genre at the time. 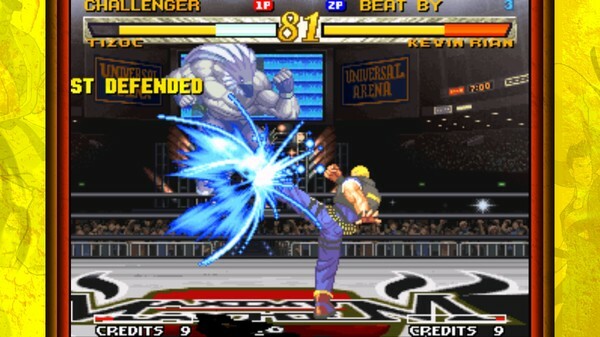 Although generally safer than 3rd Strike’s parry mechanic, and more rewarding in the sense that it restores a sliver of health for every attack covered, “Just Defense” is a timing-based reward for blocking attacks the instant they land, and serves as Garou’s only way to defend while airborne. You can’t play Garou to your true potential until you fully utilize the Just Defense system. Entirely unique to the game is the TOP system, which allows you to select a slice of your lifebar that will see you gain various buffs as long as your current health level is somewhere within that scope. This includes access to a TOP move, accessed by pressing the light kick and hard punch buttons together, and feels quite like a precursor to Street Fighter V’s V-skills. The smaller the slice you select, the more pronounced your advantages when you’re in TOP status. Put all these elements together, and you have one of the most beloved fighting games of the same resurgent era that saw the rise of crossover titles, the emergence of 80% of the “Capcom Five”, the renaissance of Virtua Fighter, and the birth of the Evolution Championship Series. Generally speaking, when discussing re-releases of classic games of virtually any genre, you’re weighing the cost of admission against the experience of playing the same game emulated. If a re-release offers no meaningful improvements over its original form, or worse, is markedly inferior to an emulated counterpart, it’s obviously best left alone. This is especially important in the case of Garou, as its history with console releases apart from its native NeoGeo has been spotty at best. Thankfully, this time around, Garou manages to miss the avoidable pitfalls, which could have easily compounded the unavoidable ones (ie: some measure of input lag) of today’s hardware selection. Unfortunately, DotEmu’s PC port is also far more spartan in the way of additional bells and whistles than the PS4 version, which is absolutely the one you should get if you’re in a position to choose. Buster Wolf remains one of the most iconic moves ever thought up at SNK. Still, whether you’re a fighting genre veteran or a new fan brought into the SNK fold by The King of Fighters XIV, you would do well to get in on Garou: Mark of the Wolves and find out for yourself why it holds a special place in the company’s legendary catalogue.